Starry, starry nights. Inspired by Hollywood glam, the richly styled Starberry king panel bed set steals the show in a simply stunning way. 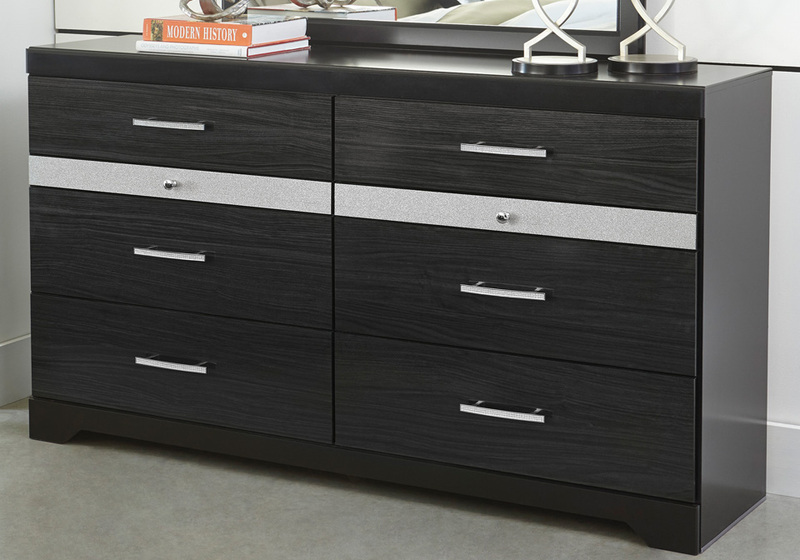 The replicated walnut grain is enriched with a high-gloss black finish, made even more dramatic with a strip of sleek silver glitter banding that accentuates a clean-lined, contemporary aesthetic. *The Starberry king panel bedroom set features a king panel bed, dresser, mirror, and night stand.